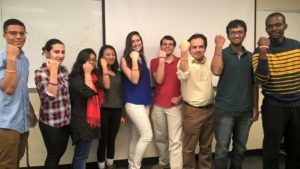 The goal of the Clemson Student Chapter is to introduce students to the transportation profession and supplement their classroom and laboratory experiences. 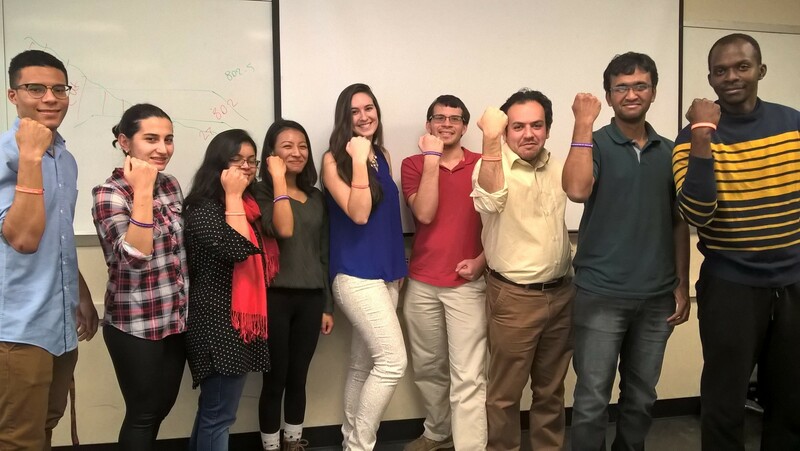 Some of the chapter activities include participating in field trips to various transportation engineering projects, community service projects, technical projects and fund raisers. 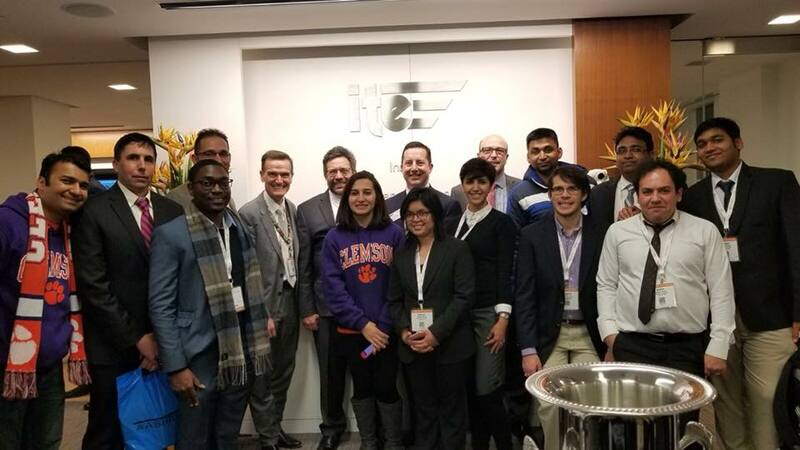 Chapter members are eligible to apply for scholarships sponsored by International ITE as well as the South Carolina Section and receive information on potential job opportunities in the transportation profession. 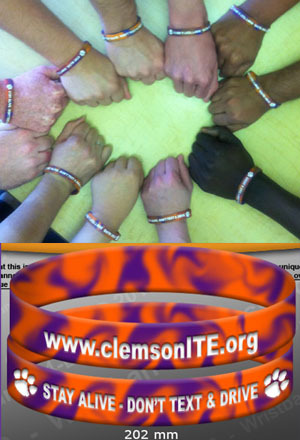 All Clemson students are eligible to join the Clemson Student Chapter. 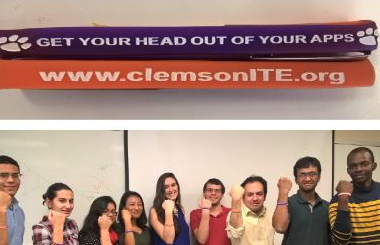 The Luther F. Fant Clemson ITE Student Chapter will be hosting the Southern District 2019 ITE Student Leadership Summit. Our Summit will promote leadership and professional development for all who attend. 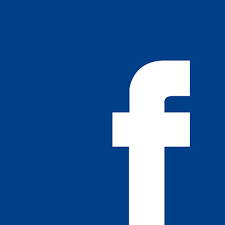 Some highlights will include leadership presentations from distinguished speakers, a career fair hosted by several companies seeking to hire future leaders in the transportation professional, and a number of social events. To register please go to the Read More. This Chapter realizes the deadly effects of texting while driving, so our students are undertaking a massive driving safety project in 2012. As a result, this Chapter hopes to promote the idea of “no texting while driving” both on Clemson University’s campus as well as at colleges and high schools throughout the country. To do this, the Chapter has created and ordered 11,000 silicon rubber wristbands marked with the phrase “Stay Alive – Don’t Text & Drive.” Check out the rest of the website, including how to get your own wristband, a pledge you can make, some shocking statistics, and several videos that could change your mind about your driving habits! Stay Alive – Don’t Text & Drive! Over 1/3 of drivers have sent or received text messages while driving. Almost 50% of all drivers between the ages of 18 and 24 are texting while driving. About 6,000 deaths and a half a million injuries are caused by distracted drivers every year.